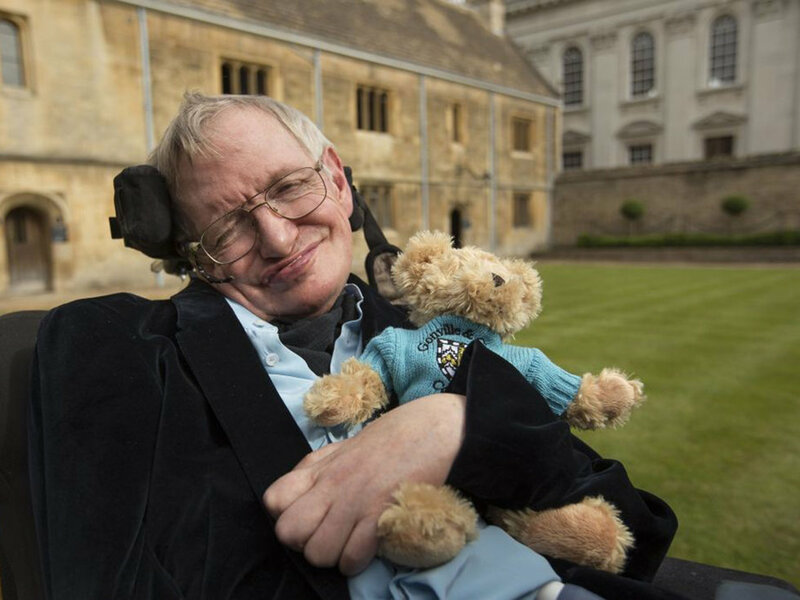 Stephen Hawking, a world-renowned English physicist, lost his battle with ALS, also known as Lou Gehrig's disease, on March 14. 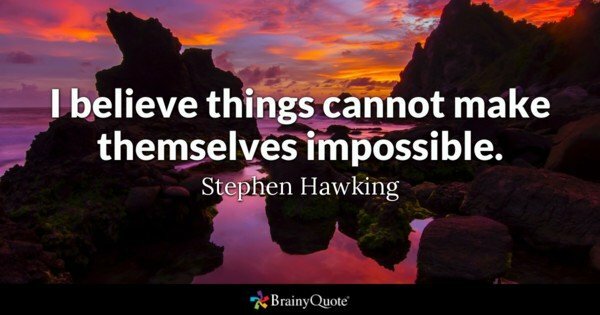 He was known worldwide for his scientific breakthroughs, but known best for discovering that black holes emit radiation, and the radiation can be detected using a special type of scientific instrument. 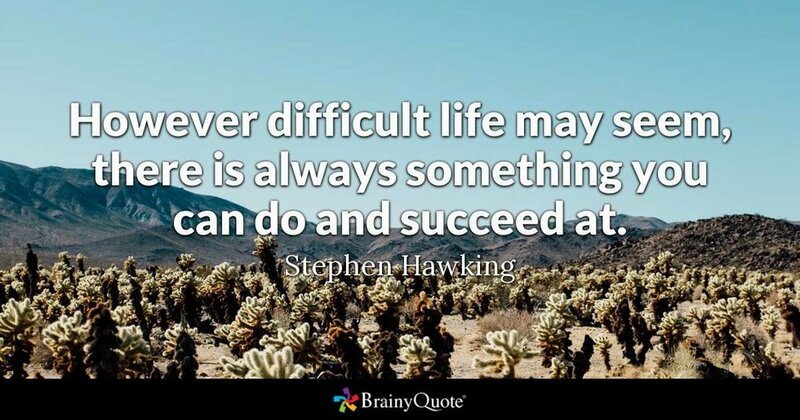 Hawking, being as intelligent as he was, had some great advice to say about things other than science. More so, we should try to adapt his advice into our own lives. 1. 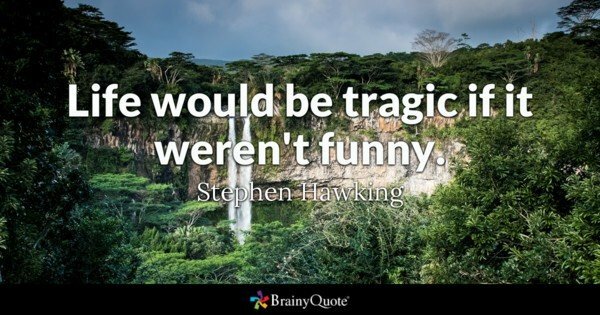 "Life would be tragic if it weren't funny." 2. "People won't have time for you if you are always angry or complaining." 3. "The past, like the future, is indefinite and exists only as a spectrum of possibilities." 4. "Intelligence is the ability to adapt to change." 5. "However difficult life may seem, there is always something you can do and succeed at." 6. "Look up at the stars and not down at your feet. Try to make sense of what you see and wonder about what makes the universe exist. Be curious." 7. "Work gives you meaning and purpose, and life is empty without it." 8. "My advice to other disabled people would be, concentrate on things your disability doesn't prevent you doing well and don't regret the things it interferes with. Don't be disabled in spirit as well as physically." 9. "I have noticed that even people who claim everything is predestined, and that we can do nothing to change it, look before they cross the road." 10. "I believe things cannot make themselves impossible." 11. "There is no unique picture of reality." 12. "We are in danger of destroying ourselves by our greed and stupidity. We cannot remain looking inwards at ourselves on a small and increasingly polluted and overcrowded planet." 13. "A few years ago, the city council of Monza, Italy barred pet owners from keeping goldfish in curved bowls ... saying that it is cruel to keep a fish in a bowl with curved sides because, gazing out, the fish would have a distorted view of reality. But how do we know we have the true, undistorted picture of reality?" 14. "Women. They are a complete mystery." 15. 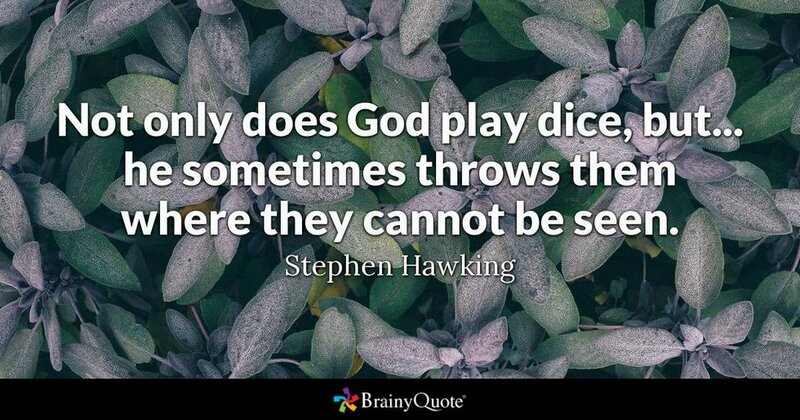 "Not only does God play dice, but ... he sometimes throws them where they cannot be seen." 16. "When one's expectations are reduced to zero, one really appreciates everything one does have." 17. "We should seek the greatest value of our action." 18. "Nothing cannot exist forever." 19. "We only have to look at ourselves to see how intelligent life might develop into something we wouldn't want to meet." 20. 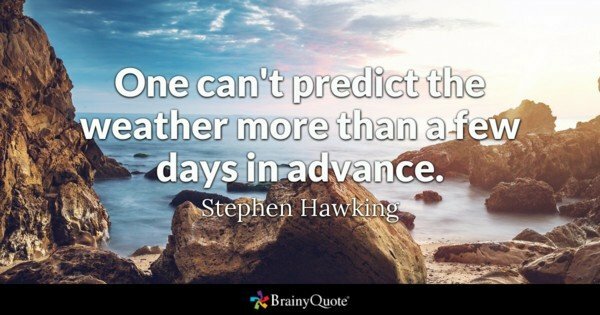 "One can't predict the weather more than a few days in advance." 21. "We are all different. There is no such thing as a standard or run-of-the-mill human being, but we share the same human spirit." 22. "Obviously, because of my disability, I need assistance. But I have always tried to overcome the limitations of my condition and lead as full a life as possible. I have traveled the world, from the Antarctic to zero gravity." 23. "I don't have much positive to say about motor neuron disease, but it taught me not to pity myself because others were worse off, and to get on with what I could still do. I'm happier now than before I developed the condition. 24. "I have so much that I want to do. I hate wasting time." 25. "I have a full and satisfying life. My work and family are very important to me."